Martins Beach, just south of Half Moon Bay, has long been popular with families and surfers. Inset: Khosla. Access to a popular stretch of San Mateo County beach that's been off limits to the public since 2010 is open for the summer season. But, while the beach is public, but the only road to get there is private. On Monday, the nonprofit Surfrider Foundation is hosting a workshop to solicit public input on visiting hours, parking fees and amenities for the recently restored public access to Martins Beach near Half Moon Bay. Feedback received will be taken into consideration as the California State Lands Commission continues to negotiate with property owner Vinod Khosla. 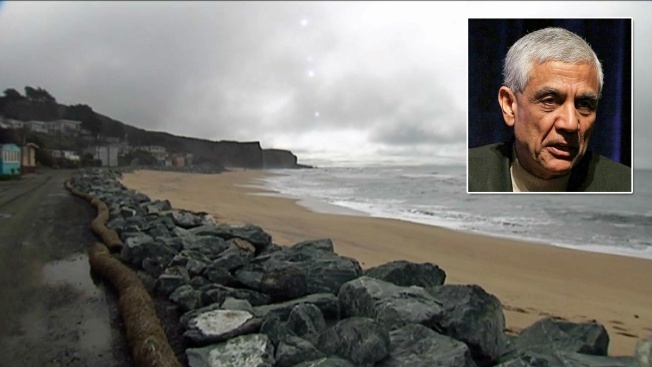 The workshop will be held at the Pacifica Community Center (540 Crespi Drive in Pacifica) from 6-9 p.m.
Martins Beach has been the subject of a lengthy lawsuit between the Surfrider Foundation and Khosla, a venture capitalist who is also a co-founder of Sun Microsystems. 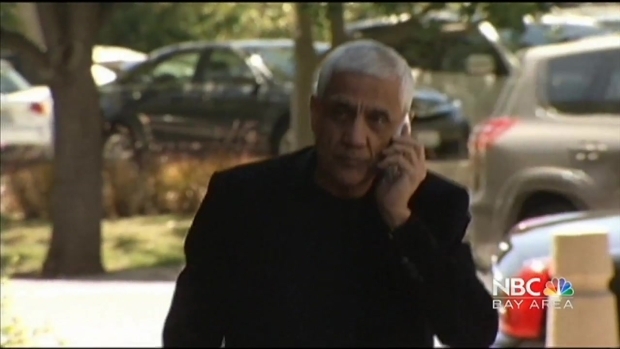 Khosla purchased the 53-acre property for $37.5 million in 2008. Two years later, he closed the gate on the only access road to the beach, which had previously been open to the public in exchange for a parking fee. The long fight to access a Bay Area beach looks to be headed for a resolution. In the lawsuit, the Surfrider Foundation argued that the closure constituted a form of coastal development, or change, as defined by the California Coastal Act of 1976. San Mateo County Superior Court Judge Barbara Mallach agreed in September and upheld her decision upon appeal in December, ordering the gate to be reopened. San Jose Mercury News noted that public access to the beach via the parking gate has been erratic since it opened, but the person collecting the $10 fee for parking told the publication that it should be open from 9 a.m. to 5 p.m. "most days" this summer.